Hosting the 50th Association of Southeast Asian Nations (ASEAN) summit in 2017 will give the Philippines the opportunity to push for greater partnerships among its 10-member economies. host an ASEAN summit. The country hosted the Third ASEAN Summit in Manila in 1987 and the 12th ASEAN Summit in Cebu in 2007. Since 2009 the 10 members of ASEAN have been holding two summits every year—one in the first half of the year, the other in the second half—but always in one host country. Myanmar hosted the 24th and 25th ASEAN summits in 2014. Malaysia hosted the 26th and 27th summits in 2015. Laos hosted the 28th and 29th summits in 2016. The Philippines accepted the chairmanship of the Association of Southeast Asian Nations (ASEAN) last September at the conclusion of the 28th and 29th ASEAN Summits in Vientiane, Laos, as it unveiled the theme for next year that contains an imprint of President Duterte’s campaign. It also contained the phrase “partner for change,” which is being used by Malacañang to refer to the supporters of the President. Duterte said the theme of next year’s conference reflects the Philippines’ resolve to consolidate ASEAN to enable it to take its rightful place in the international community. “The Philippines is ready and willing to steer and guide the association. But crucial to the realization of our goals is the cooperation and support of all ASEAN member-states and our dialogue partners,” Duterte said. “I trust that under the Philippines’ ASEAN chairmanship in 2017, in addition to the meaningful celebration of the 50th anniversary of ASEAN, the ASEAN community will continue to gain new achievements,” the Lao prime minister Thongloun Sisoulith said. 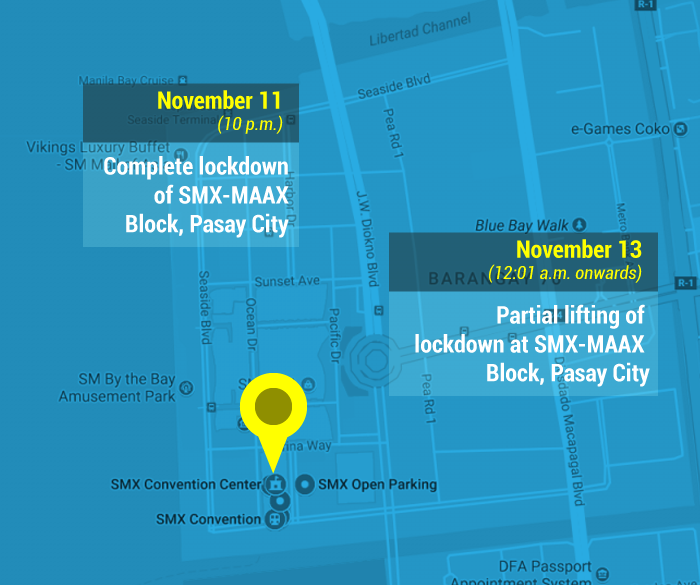 MANILA, Philippines — The Department of the Interior and Local Government on Sunday announced they would implement a lockdown which would affect some roads during the conduct of the Association of Southeast Asian Nations Summit in November 2017. 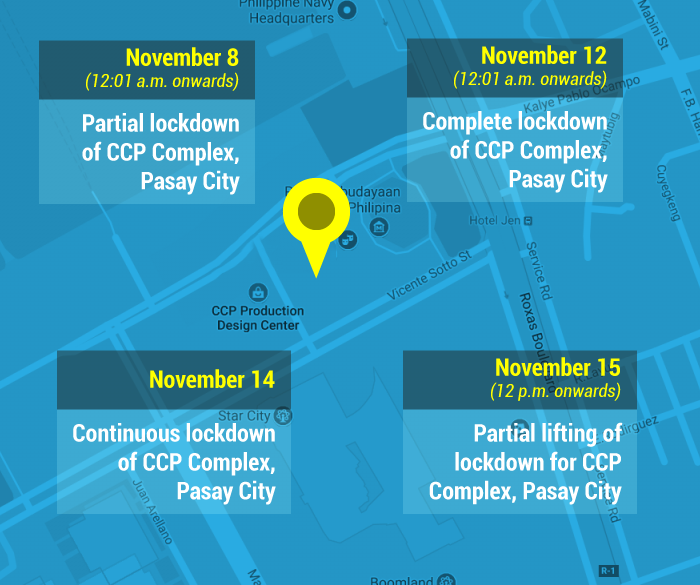 DILG officer-in-charge Catalino Cuy, who is also the concurrent chairperson of the ASEAN Committee on Security, Peace and Order, Emergency Preparedness and Response (CSPOEPR), sought for the public’s understanding amid the scheduled lockdown and road closures. Cuy also advised motorists and land travelers to refrain from passing through the North Luzon Expressway and EDSA as a stop and go scheme would be implemented every time an ASEAN convoy passes through these two major highways. The DILG said pedestrians and vehicles without ASEAN IDs and decals would be allowed to enter the ASEAN routes provided that they pass through the vehicle and pedestrian security areas. On days with full lockdown schedule, however, only pedestrians and vehicles with ASEAN IDs and decals would be allowed to pass while the general public would be denied access to these routes. Cuy also asked the local chief executives of Metro Manila and Central Luzon (Region III) to provide support to the delegates. He requested the local government units to remove unwanted elements on the streets that would create more traffic and display information, education and communication materials that express support for ASEAN. The acting DILG chief thanked LGUs that responded to the logistical needs of the ASEAN Summit. Earlier, President Rodrigo Duterte declared November 13 to 15 as special non-working days for Metro Manila, Pampanga and Bulacan. 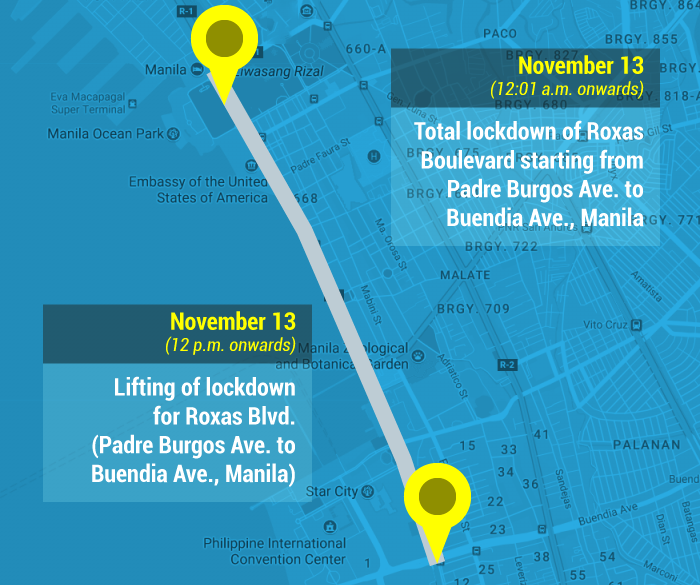 Here is a list of the lockdown schedules and ASEAN routes which may affect traffic in November.